Tension has been escalating between Israel and the Gaza Strip following the murders of three Israeli teens in the occupied West Bank and a Palestinian teenager in Jerusalem over the last two weeks. The state of Israel has since launched operation ‘Protective Edge’ against the Gaza Strip. 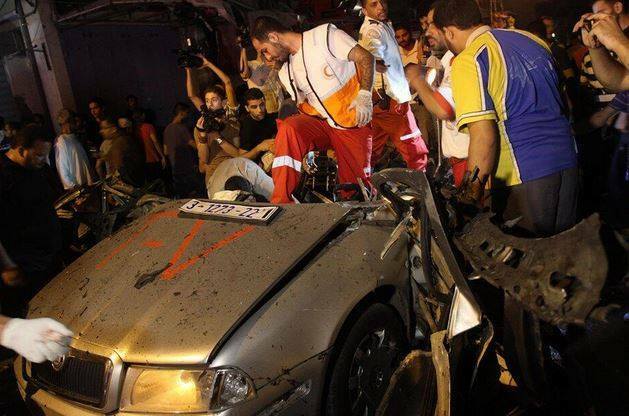 Palestinian fighters have responded with rocket attacks against Israeli cities. This is the ‘Gaza War Diary – Day Two’, a personal account from Rasha writing from Gaza as the violence unfolds. Rasha’s account of ‘Day One’ is available here. 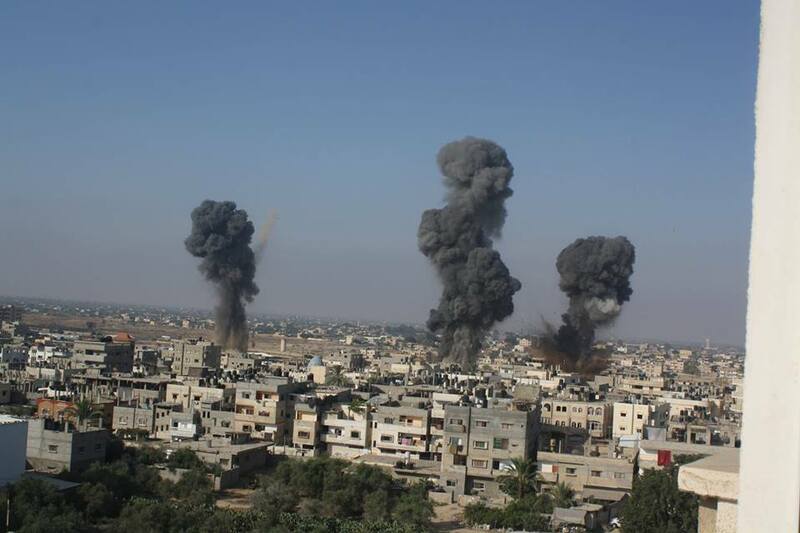 Gaza, July 10, 2014 (Alochonaa): Today is the second day of the war, and I have been through the most horrendous moments ever experienced in my entire life. This afternoon, a few minutes after a huge explosion took place that shook my house, we received a phone call. It was my sister, she was saying in scattered words ‘Israeli air strike, our neighbors, we evacuated the house…all damaged’. Then the line cut off. My family and I went crazy. We tried desperately to call her back over and over again but all it was in vain. My father and brother decided to go and see what had happened and to get her family back to our house. They took the car and drove through the empty streets to her house. During this time another thundering explosion was heard. I freaked out. I felt as though the whole world could hear my heart beating. My mind was blocked. I was trying to calm my Mom down while I myself was nearing a complete breakdown. I wished in that moment to have some super powers that would enable me to eradicate the Israeli forces from Gaza, their warships, planes and tanks. That 20 minutes between my sister’s phone call, and to when I saw her and her children coming through my door, was the most horrible and terrifying time I had experienced in my life. My nieces came and hugged me as if they were trying to hide in my embrace. They don’t know that I too am as vulnerable and powerless as they are. My Sister and her family are going to stay in our house until they know what they are going to do next. She started to tell us the story of how her neighbors started to shout to each other to evacuate their houses. One of the houses in the neighborhood received the warning from the Israeli Apache notifying that a F16 warplane is going to hit this location in a few minutes. Sometimes people have enough time to leave their homes, but most of the time many do not. Fortunately my Sister and her husband were able to hastily get their children and go downstairs where they sought shelter from the shells and building debris. Six minutes on from that initial warning the missile hit. The house opposite to my Sister’s was bombed and was followed by the screams of women and children crying. That targeted house sustained full damage, and the surrounding houses partially damaged. I was looking at my nephews and nieces wondering what psychological impact this experience was having on them. I thought of what all the children, women and people are going through during this ordeal of war. I have worked with some traumatized children from previous assaults over Gaza, and I know how that dealing and treating these children post-conflict is both complicated and sensitive. Going back to the start of my day I recall that during the night I could not sleep well, not only from the loud noises of planes, but also from my anxiety of following the news continuously. With every bomb I hear, I automatically go and check the Facebook posts or turn on the radio. Since it is Ramadan, the holy and sacred month for Muslims, I had my usual meal before the dawn to prepare myself for the 16 hours of fasting – no food or drink is allowed during this period. I managed to sleep for a few hours, waking up again to check the news feed. One after another, all day long, Israeli naval forces fired heavy shells targeting unknown locations within Gaza. The casualty toll is increasing by the minute. There is news about airstrikes, naval fires targeting houses, mosques, women and children. 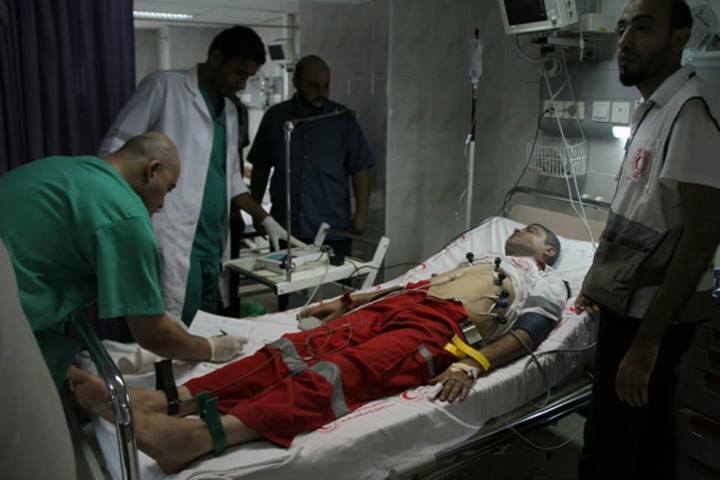 Israel has targeted ambulances, paramedics and the press. Is this not insane? This war has been mainly targeting civilians. Where is the ‘humanitarian law’, the ‘international law’? What was the Genève Convention made for? To not be used? Why is there an institution called the United Nations? Or was this United Nations established to sustain the suffering of the Palestinians. The United Nations has never stepped in and intervened to protect the Palestinian civilians during the times of offensives or aggression. Shame on the international community, and shame on the United Nations. 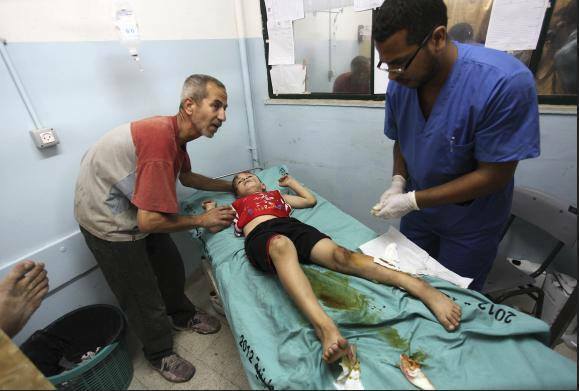 Then I heard the news about the Shifaa Hospital, the main hospital in Gaza. It is overwhelmed and is running over capacity. It has called on Egypt to open Rafah Crossing to evacuate the critically injured. But despite urgent appeals, Rafah Crossing is still closed. I heard about an Israeli official who declared that the assault over Gaza occurred with prior consent and coordination with the Egyptian authorities, as they have a mutual ‘interest’ in getting rid of Hamas. Coordinating with a neighboring country of the Gaza Strip to approve the killing of civilians, women and children…how devastating is this? Now it is the time to break our fast. There is no electricity, as we only have 8 hours a day, and it has been like this for months, or maybe years now. I cannot recall. Although, we are lucky to have a backup battery that can supply some lighting and turn on the Wi-Fi device. At least we can switch on the fan in this burning summer; as we know there are hundreds across Gaza drowning in this darkness. Before the Adhan, my Sister called her in-laws who insisted that they stay at their home after they got word of their damaged home. They ensured her that they were fine and their Christian friends prepared meals for them to break their fast with. This is what the Gazan society looks like, we are conciliated, and we give strength to each other regardless of our religion. During the day I also heard the sad news of the death of my close friends’ Uncle and Cousin. They were civilians. They were unarmed, and had left the house to check the trees in their farm that had caught fire; the farm is located in the middle of the Gaza Strip. They could not understand the warning missile dropped by the Apache nearby. Moments later they died. They had families, they had children, they had lives, they had beloved ones. My heart has been wrenching all day from all that I have come across in ‘Day Two’ of the war. It is the end of ‘Day Two’, or have we started day three already? I am not sure. I have lost all sense of time. The hours are passing, the bombings are continuing, the drones are hovering, and we are still alive, well up to this moment anyway. So far in this war more than 450 missiles have been dropped, more than 55 houses destroyed and according to Palestinian medics, the death toll has risen to 58 and more than 486 wounded – all up to this moment. These are not statistics, nor are these numbers. These people who were killed, everyone of them had a name, everyone of them had a life, everyone of them had beloved ones, everyone of them had dreams. Under which laws on Earth is this treatment allowed? After this long day I need to get some sleep, to rest my weary body and soul. I make sure I get properly dressed and have all my important documents packed and ready to carry with me at a moment’s notice in case of an emergency or evacuation. ‘Day Two’ has ended with my hopes for the next day to bring some peace.